Well-designed gardens are one of the most beautifully expressive art forms. Here are 25 of the world’s most eye-catching. The Keukenhoff Gardens, also known as the Garden of Europe, is one of the world’s largest and most beautiful flower gardens. 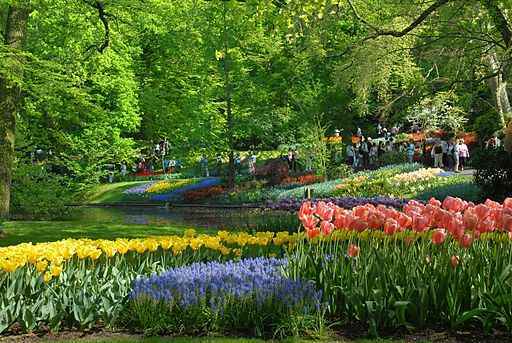 More than seven million tulips, daffodils, and hyacinths fill over 32 hectares of space. Here are some tips for taking in the garden’s bright colors and aromas. – They are only open from the end of March to mid-May, so plan your trip accordingly. – Lisse is only about an hour away from Amsterdam, so this makes for a perfect daytrip if you are visiting the capital city. Located in the south of Spain is a fortress known as the Alhambra, meaning “the red one”. The complex, a combination of Moorish and Medieval architecture, is the largest visited tourist attraction in all of Spain, attracting millions of tourists each year. It’s worth it to spend a day visiting the entire complex, especially the Generalife, which includes a smaller palace and nice gardens. Keep the following in mind when planning your visit. – Wear a good pair of shoes. You’ll be on your feet exploring the gardens and surrounding palaces for hours on end. – Head to the Nasrid Palaces before the gardens, if you plan to see the entire complex in one day, because entry to this section is restricted and it’s a good idea to go early. – There aren’t really any good food or drink options near the complex, so make sure to bring some water and snacks along. The famous gardens of the impressionist painter Claude Monet provide a wonderful insight into the artist’s inspiration for many of his world-renowned paintings. Monet spent his last years cultivating the garden and some of his most well known art. Situated just 50 miles outside of Paris, the gardens make for a perfect day trip away from the City of Lights. Here are some tips for taking in the late artist’s living masterpiece. – There is no direct train service from Paris to Giverny. You’ll take a train from Gare St. Lazar to Vernon. Giverny is about four miles from Vernon, so you can reach the gardens by bus, a rented bicycle, or taxi from there. – The gardens are closed on most Mondays, so keep that in mind. – The Musee d’Orsay in Paris is filled with some of Monet’s most famous paintings. Take a visit here before heading to the gardens for a deeper appreciation of the work and the artist himself. Also located just outside of Paris is the Chateau de Versailles and its surrounding gardens are a true spectacle, filling up over 800s hectares of land. The gardens make up one of the most visited places in France, receiving over six million tourists each year. Commissioned in the 1600’s by Louis XIII, the expanse of flora has been growing and evolving for hundreds of years now, with over 210,000 new flowers being planted annually today. Keep the following in mind when planning your trip here. – Located in the Parisian suburbs, it makes for a perfect day trip. Just outside of the German capital of Berlin, you’ll find the Sanssouci Palace and its wonderfully terraced gardens. A result of Frederick the Great’s desire to create a vineyard on the property’s southern slope in the 18th century, the gardens have evolved into a magnificent combination of plant life and art. The name of the palace housing the gardens comes from the French saying “sans souci”, meaning “without concern” and it’s definitely true that the calming effects and beauty of this garden with leave you without any concerns or worries. It’s a must-see if you ever find yourself in northeastern Germany. Here are some tips for enjoying the gardens and former royal seat of Prussia. – The palace is easily accessible by train or car. – If you’re coming from Berlin, there is a very popular bike route between the capital and Potsdam, so keep that in mind if you are making a daytrip to the place from Berlin. – The gardens are open year-round, but it’s best to visit in late spring or early summer right after the majority of the plant life has bloomed. Spread out across 326 acres, the Royal Botanic Gardens at Kew are enormous! Various greenhouses are scattered across the grounds with its Temperate House being the largest Victorian greenhouse in the world. Also popular are the Palm House and the Bonsai House, which contains trees more than 150 years old. The collection of plant life here is vast, making for a very rewarding visit. Keep the following in mind when planning yours. – Open every day except Christmas Eve and Christmas Day. – Arriving before 11am is advised in order to have time to see everything and avoid the busiest crowds. – There are two cafes and two shops on the grounds, so there is no need to prepare your meals in advance. The Singapore Botanic Gardens are over 150 years old and make up the only tropical garden to be listed as a UNESCO World Heritage Site. It’s been ranked one of the top attractions in all of Asia since 2013 and its popularity only seems to be increasing, currently receiving over 4.5 million visitors each year. The gardens are open every day of the year from 5am-midnight, making it the most accessible garden in the world. Here’s how to enjoy it! – More than 10,000 different species of flora can be found here, so make sure to get to the garden early to see everything. – Check out the food court near Tanglin Gate for a meal at the end of your tour. One probably doesn’t see the words “desert” and “garden” used in the same sentence very often! The Huntington Desert Garden is one of Southern California’s greatest treasures, containing one of the world’s oldest collections of cacti succulents and other desert plants; over 2,000 species in total. At only 10 acres, it’s one of the smallest gardens on this list, but what it lacks in size, it makes up for in originality and beauty. Here are some tips for making the trip. – Only accessible by car. – Situated only about 20 minutes outside of Downtown LA and Hollywood, this makes for a perfect daytrip away from the city. Isola Bella, meaning “beautiful island” is one of the Borromean Islands of Lago Maggiore in the north of Italy. The island contains a palace, an Italianate garden, and a small fishing village. The garden is Baroque in style and employs the surrounding lake and mountains as key features. Isola Bella, as its name suggests, is a real beauty and definitely worth a visit if you are planning to visit Lago Maggiore. Keep the following in mind when planning your trip to the tiny island. – It’s only open from March until the end of September. – More than 3-4 hours isn’t necessary to visit the entire palace and garden area, making this the perfect morning or afternoon activity. 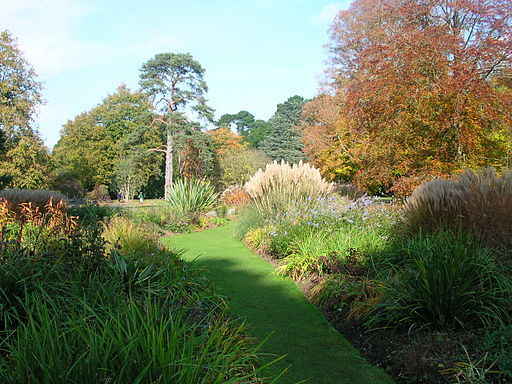 The Exbury Gardens in Hampshire belong to a brand of the Rothschild family. The 200-acre site is world-famous for the Rothschild Collection of rhododendrons, azaleas, camellias and rare trees and shrubs. With its own steam railway to carry tourists around the various gardens, it’s the perfect place for visitors from all walks of life – individuals, couples, families, and senior citizens alike. Here are some tips for visiting the Exbury Gardens. – It’s only open from the first week in March to the first week in November. – Plan to pay between $13-$18 for individual admission. Family rates are available. – The Railway ticket is not included in the admission price. 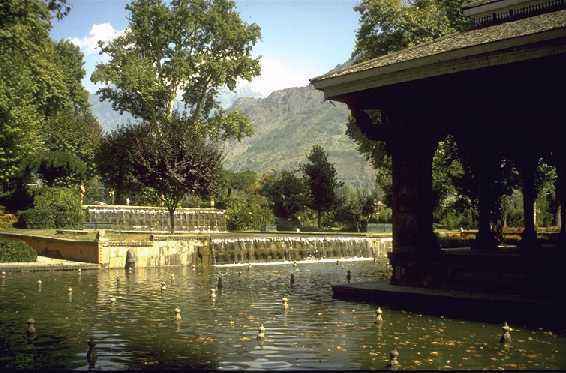 Shalimar Bagn is considered to be the finest Mughal-style garden in the world, created by Mughal Emperor Jahangir in 1619 for his wife, Nurjahan. The site also served as a summer residence for the Munghals. Canals and fountains cover the garden area so that a constant, soothing sound of flowing water can be heard throughout. The ancient architecture paired with the snowcapped mountains serving as a backdrop makes for an unforgettable experience. Consider the following when planning your visit. – The best time to go is during the spring or fall. The Chinar trees change from green to orange and yellow, sending a warm glow throughout the gardens. 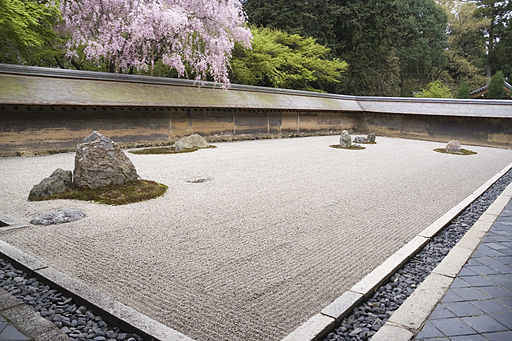 Built in the late 15th century, this Zen garden has become one of the world’s most well known and the most famous in Japan. It is arranged in the kare-sansui (dry landscape style and composed of raked gravel and fifteen moss-covered boulders of various sizes. It is said that only fourteen of these boulders can be seen from any one place in the temple. When one reaches enlightenment, the fifteenth boulder will appear. Do you think you could see all fifteen? While pondering that, also consider these tips. – This Zen garden is close to a few other temples in the area, including the Kinkakuji Temple, Toji-in Temple and Ninnaji Temple. Check them out too if you have time. 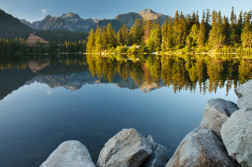 – Due to its popularity and crowds, it can be difficult to have the intended tranquil experience. Try to go early in the morning for the best chance at avoiding masses of tourists. – Don’t forget the green spaces! While the rock garden is the main attraction, the surrounding gardens are also beautiful. 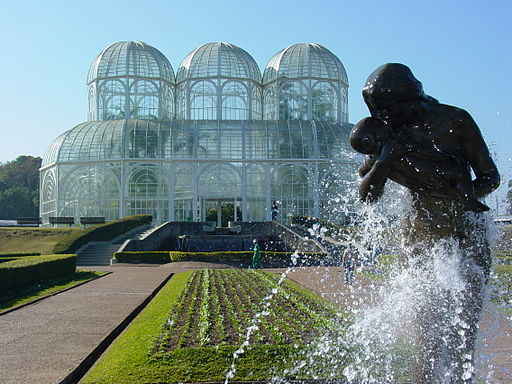 A trip to the Botanical Gardens of Curitiba could leave you questioning which continent you are on. Constructed to resemble French royal gardens in 1991, the site has a very European to it and you could easily forget that you are in South America. It is overflowing with elegance and a truly magnificent collection of flora. Here are a couple of tips for visiting. – Continue exploring Curitiba’s lovely landscapes in the two parks bordering the gardens: Parque Estadual de Vila Velha and Parque Tanguá. – The Botanical Gardens are open year-round and accessible by car or bus. 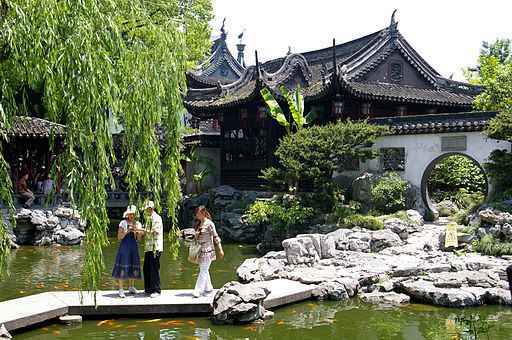 The Yuyuan Gardens were built during the Ming Dynasty and make for an enchanting experience in the Chinese metropolis of Shanghai. Just as magnificent today as it was 400 years ago, it has much to offer visitors. There is street food, shopping, and a couple of temples. Follow these tips to make the best of your visit. – Try to go just before sunset and stay until it’s dark. The lights of the buildings bouncing off of the various ponds and statutes in the gardens make for a magical experience. – It’s easily accessible by public transportation, but make sure to leave yourself time to walk around and enjoy the surrounding area. The gardens at the Powerscout are a portion of an Irish estate spanning across 47 acres. It is a very popular tourist attraction and contains a golf course, a restaurant, and a hotel on the grounds. Nestled in the foothills of the Wicklow Mountains, it’s one of Ireland’s most beautiful gardens. Keep the following in mind if you decide to check it out. – The gardens are open year-round, closing only for Christmas on the 25th and 26th of December. – The amenities on the estate make this the perfect destination for a weekend getaway. Take one here! Just a stone’s throw away from Rome, you’ll find the gardens at the Villa d’Este in Tivoli. Another UNESCO World Heritage Site, the gardens here are one of the most impressive and comprehensive illustrations of Renaissance culture. It was one of the first giardini delle meraviglie and was an early inspiration for European gardens. Here are some tips for visiting the 16th-century Italian garden. – Book your tickets online to avoid the lines if you are visiting during peak season. – Because of its proximity to Rome, it makes for a great day trip away from the Eternal City. Built over a period of almost thirty years, Dumbarton Oaks was transformed from existing farmlands into terraced garden rooms and vistas in the first part of the 20th century, making it one of the younger gardens on the list. Located in the historic Georgetown neighborhood of Washington D.C., it’s easily accessible by public transportation and by car. Here is a bit of information that will help you in planning your visit. – Open year-round, closed on Mondays and national holidays. The Master of the Nets Garden is an UNESCO World Heritage Site, demonstrating Chinese garden designers’ ability to blend art, nature, and architecture to create unique metaphysical masterpieces. 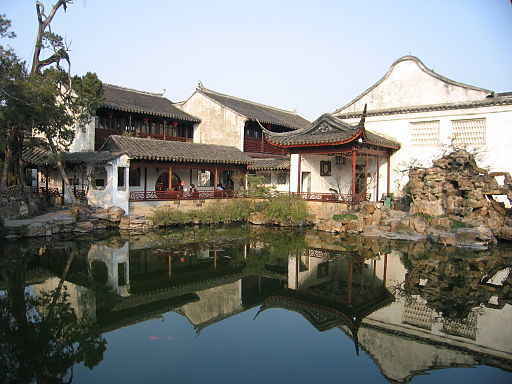 It’s a definite must see for anyone planning a trip to Suzhou, China. Keep these tips in mind for your visit. – While the garden is extremely beautiful, it is quite small, so you shouldn’t need more than a few hours to explore it. Make sure to plan the rest of your day accordingly. 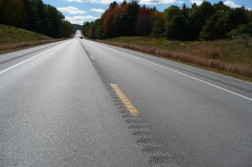 – Accessible by bus or car. This garden is a Mannerist garden from the Italian Renaissance, meaning its creators looked to the classical periods for inspiration, but broke the rules and distorted these classical themes in bizarre and entertaining ways. The feeling while visiting one of these gardens can be anything from a bit eerie to jaw dropping and they are almost always symbolic. This particular garden is a symbol of the tale of humanity’s descent from the Golden Age based on Ovid’s Metamophisis. Here are a few things to consider before visiting. – There is a heavily enforced ‘No Photography’ policy, particularly of the frescoes inside some of the buildings. The gardens of the Drummond Castle have been called the best example of terraced gardens in Scotland. 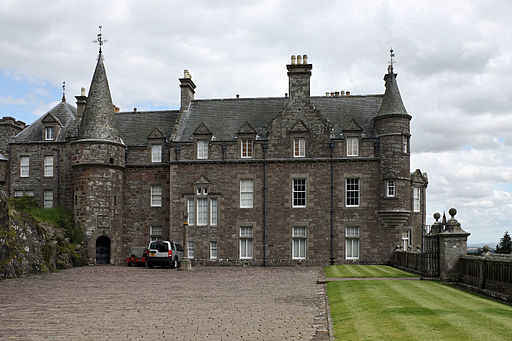 They date back to the 1630s and are protected by the Scottish government as a cultural site. Keep the following in mind when visiting. – The castle is not open to the public. – The gardens are open from the first of May until the end of October. This 500-acre botanical garden is a major scientific center dedicated to cycads and has its own Cycad Gene Bank. The garden offers many other activities to visitors such as martial arts demonstrations and elephant shows. There are also two restaurants, a zoo, and a hotel within the grounds of the garden, providing a level of convenience that not many others on this list can. Here are some tips for visiting the tropical garden. – If you aren’t travelling in a group, it’s best to visit as a part of a package tour. 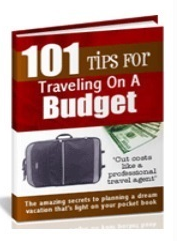 You’ll save money on transportation this way. – The park is large and requires a lot of walking. Carts are available for rent, if needed. – There isn’t much shade provided by plant life or architecture, so make sure to wear a hat, bring an umbrella, wear some sunblock, or whatever you need to do to stay protected against the sun. 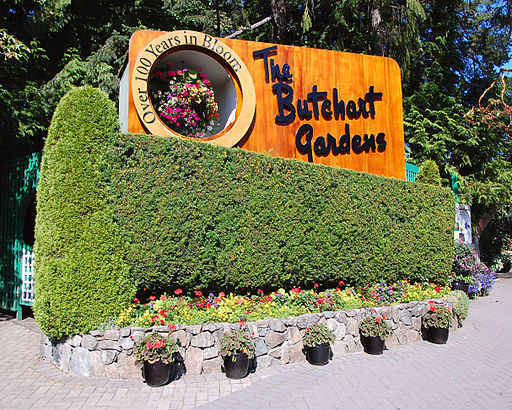 Internationally renowned and definitely one of the most popular gardens in Canada, the Butchart Gardens on Vancouver Island receive around a million tourists each year and it’s easy to see why. In the early 1900’s the land had used up it’s value as a quarry and something needed to be done to revitalize the area and not leave it in an ugly, abandoned mess. The wife of the quarry’s owner had a vision for a garden and filled the land with soil. What she began over 100 years ago has expanded into a 55-acre collection of gardens that bloom from March to October. Here’s how to enjoy them. – The summer months are the best time to visit. Lights illuminate the entire park. Outdoor music and fireworks take place on various evenings throughout the season. – During Christmastime and ice rink and holiday lights are installed which makes for a winter wonderland. 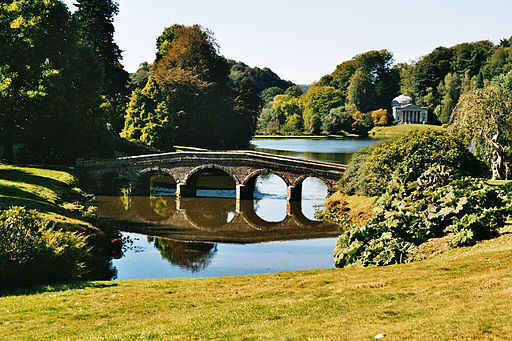 Stourhead, located in Wiltshire, England, is a landscape garden that was cultivated in the 18th century. The style is classical, with a lake in the center and various structures scattered throughout. It’s a year-round beauty, with great views of the lake from just about anywhere on the walking paths. Keep this in mind when planning your trip. – It’s difficult to reach Stourhead without a car. Renting or driving your own is advised. There are nine different gardens surrounding the Villa Ephrussi, each carrying its own theme: Florentine, Spanish, Garden à la française, exotic, a stone garden, a Japanese garden, a rose garden, Provençal and a garden de Sèvres. Inspired by a sea voyage, the garden was designed to look like a ship with the sea visible on all sides. The thirty gardeners who originally maintained the garden even dressed as sailors! Keep the following tips in mind when visiting. – Arriving by car is by far the easiest method of reaching the villa and gardens. – The price to get in is a bit high at 12 Euros, but well worth it. 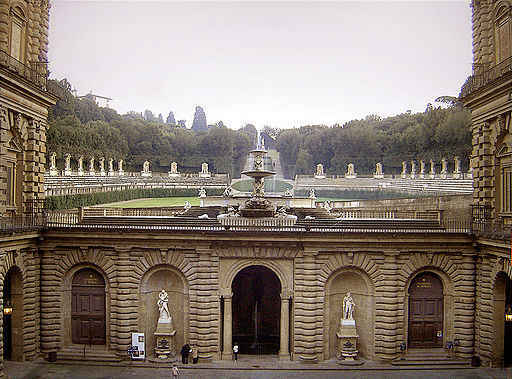 The Boboli Gardens behind the Pitti Palace in Florence, Italy are examples of some of the first and most formal 16th-century Italian Gardens. 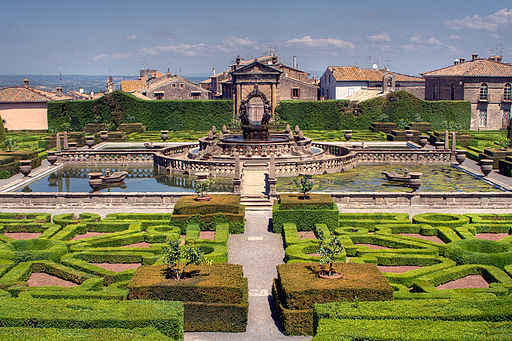 Commissioned by the Medici, the lack of privacy and expansive views of the city were uncommon for gardens of this time. Known for its “green architecture” the Boboli Gardens are much more than just flowers and trees – think of it as an open-air museum. Here are some things you should know before planning your visit. 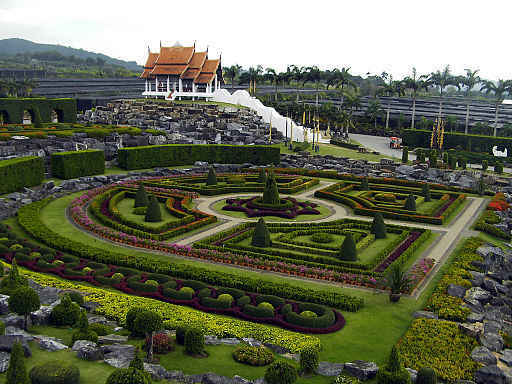 – Visiting the gardens only requires about 1-2 hours. – Open throughout the year, but operating hours depend on the season. – Admission is around $10, but there is reduced entry if you go after 4pm. If you’re on a tight budget, maybe try going a bit later in the day just before sunset – beautiful gardens and beautiful skies; the perfect combination. Have you visited any of these gardens? Which are your favorites? Let us know in the comments below!